G12H-150's Redbacks, or in combination. 2x15 guitar cabs come loaded with G15V-100 Fullbacks. Our ported 2x15 bass cabinets are critically tuned to and loaded with the neodymium Eminence 3015 Kappalite speakers. Sealed 6x10 bass cabs come with Eminence SC10 Basslite speakers. 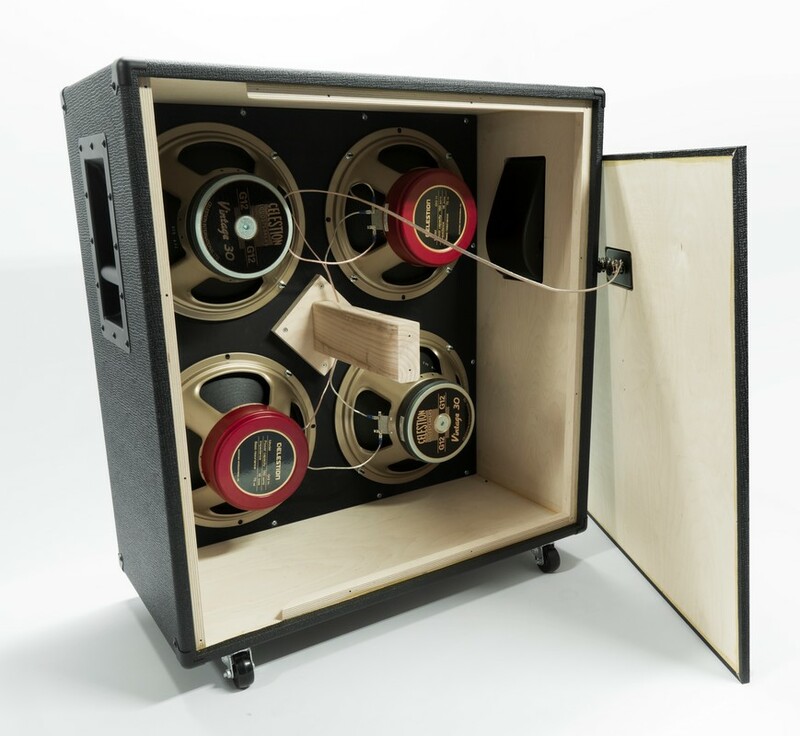 We can obtain and load our guitar cabinets with other Celestion, Eminence, or speakers from other manufacturers as well (pricing varies), just inquire if you have a favorite.